Sneak up on the competition with your NIKE Sneaker car! "Everyone asked who made the shoe! It was easier to make than expected. Best of all, it was the grand champion 1st place winner"
Fly down the track with your cool NIKE Air Sneaker pinewood derby car! We show you how to build this car with 3D images showing each cut, step-by-step. The NIKE car design plan includes full instructions with 3D AutoCAD images of the car taking shape. 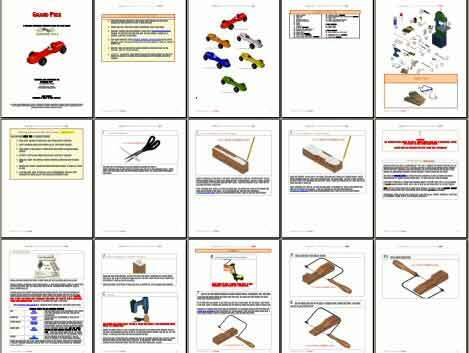 We show you weight placement, give your building tips, a tool list and car cut-out template patterns to use as a cutting guide. We even show you your car in 6 different colors, plus give you a 360 degree animation so you can view your car from all angles as it rotates. Building this car is as easy as tying your shoes! We show you how with simple step-by-step clear, 3D images. Download the Nike Sneaker car design with template patterns direct to your computer instantly. 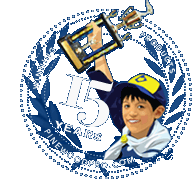 Pinewood Pro 3D derby car designs - best on the market, guaranteed! The angles of the pattern were correct, the car was very easy to build. We modified the plans to redistribute the weight and even that turned out to be easier than I'd expected. It also won most creative, just like the other reviewer! Everyone asked "who made the shoe!" It was easier to make than I expected. Best of all, it was the grand champion 1st place winner. Very easy to follow car plan. Didn't need all the tools recommended so don't be intimidated by those. My son came in 3rd place for the race but won most creative. Cut, assembled and painted in 2-3 days. Thorough design instructions, with exception of the shoelaces Wasn't sure if I needed to use real string and grommets.